Find hotel near Eduard-theodor-bottcher-b ..
Eduard-Theodor-Bottcher-Bau is the main building of the University of Chemnitz, or the Chemnitzer Universität. 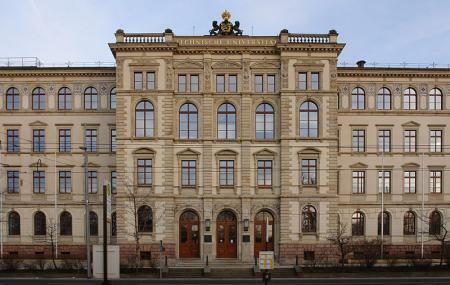 This building was inaugurated on 16th October 1877 and since then has been one of the most beautiful and the most visited buildings in Chemnitz. This building suffered the Anglo-American bombardment in February 1945 which led this building to sustain great damages. The building underwent many restorations and today stands tall and magnificent. Spread over 4 floors, this building is completely made in stone with arch windows. Sehr moderes Architekturdesign, trotzdem an manchen Stellen (auch wichtigen) schlecht durchdacht.